Beef Bone-Marrow: Removing Excess Blood, Scooping The Marrow Out, A Single Light, 350 Degrees For 20 Minutes, And An Egg. Beef bone-marrow (Moelle de boeuf). 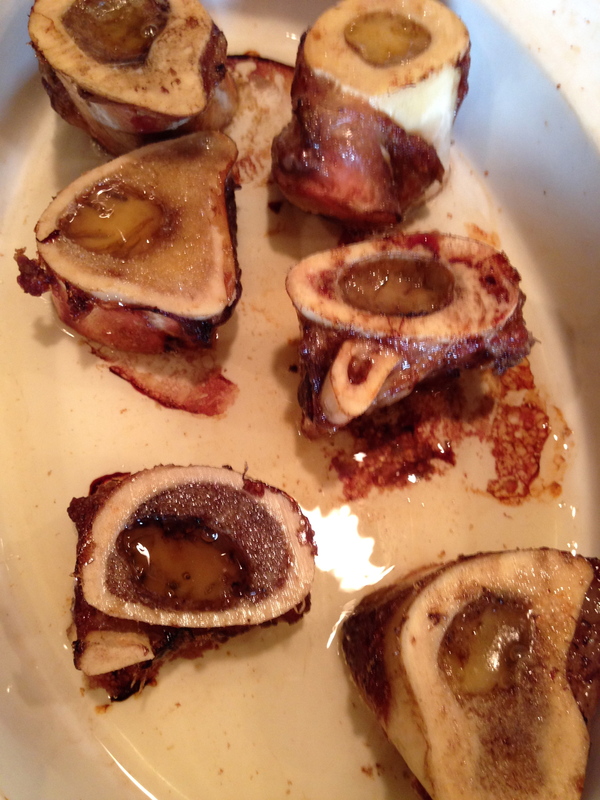 The marrow, cut into fairly thick slices (using a knife dipped in boiling water), poached without boiling in salt water and drained, is used to garnish steaks. Bone-marrow canapés (Canapés à la moelle). Spread the marrow on neat slices of toast. Season these canapés with salt and freshly-ground pepper. Bone-marrow on fried bread (Croûtes à la moelle). Made with hollowed-out crusts of sandwich loaf fried in butter like canapés. Bone-marrow fritots (Fritots à la moelle). 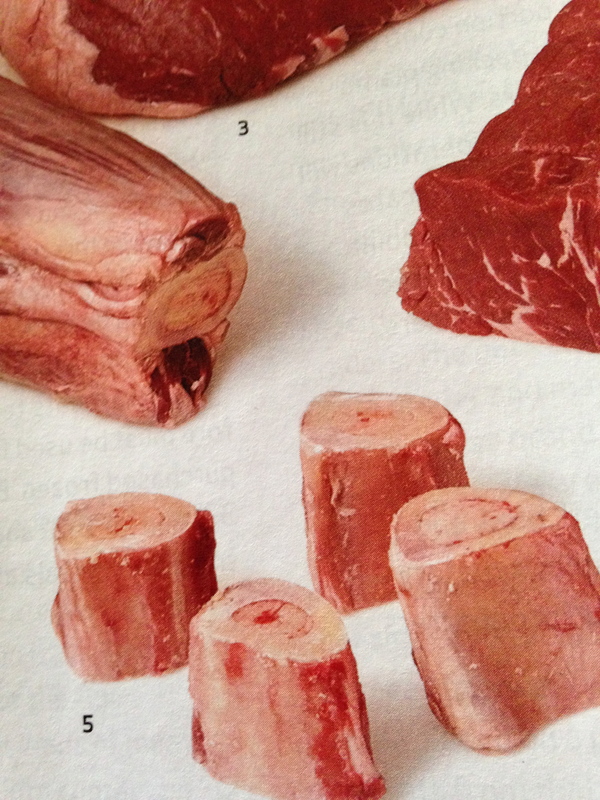 Cut the beef marrow into slices. Stick these slices together in pairs with some kind of forcemeat (preferably à gratin). Steep them for 20 minutes in oil, lemon juice, salt, pepper and chopped parsley. Salpicon of bone marrow (Salpicon de moelle). Dice the marrow more or less finely as required. Poach without brining to a boil. Blend with Demi-glace sauce, flavored if desired with shallot cooked in white wine until all the liquid has evaporated. 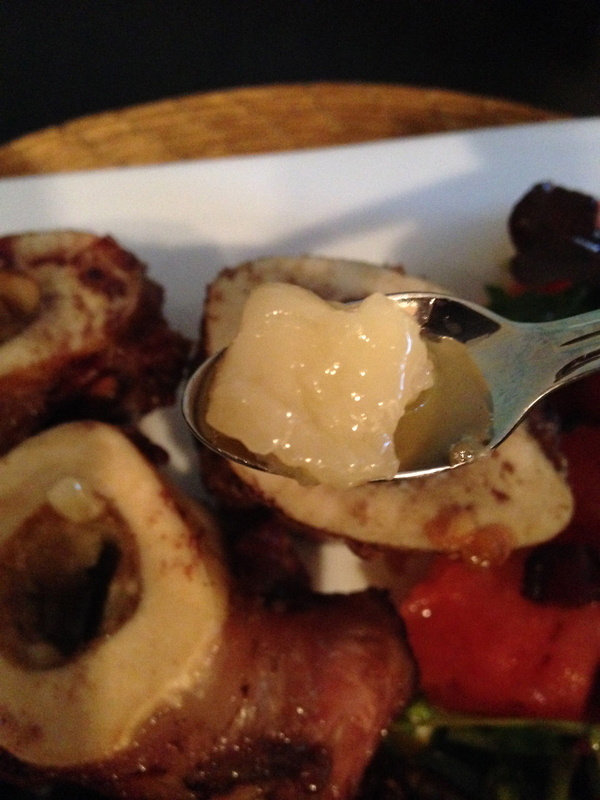 Bone-marrow sauce (Sauce à la moelle). A sauce served with meat, grilled or sautéed fish and poached or coddled eggs. Small vol-au-vents with bone-marrow (Bouchées à la moelle). Small flaky pastry vol-au-vent filled while hot with a salpicon of beef bone-marrow blended with demi-glace sauce, flavored if desired with a little shallot cooked in white wine until all the liquid has evaporated. The entry in The Professional Chef published by Culinary Institute of America reads, Marrow–the soft inner substance of bones–is often used as a garnish for soups, sauces, and other dishes. 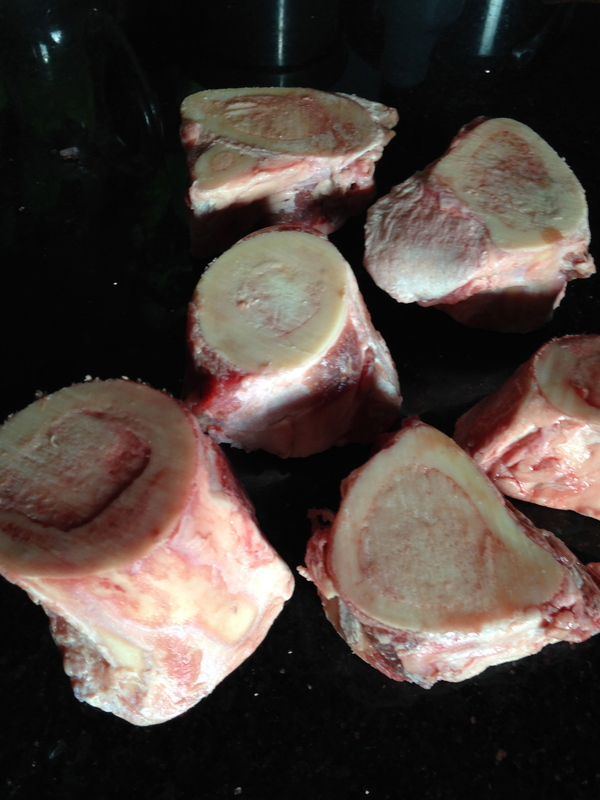 Certain bones, known as marrow bones, have a significant amount of marrow that is relatively easy to remove using the following technique: Submerge the marrow bones in cold, salted water for a few hours to remove the excess blood and impurities. After they have soaked, push the marrow out with your thumb. Place the femur on the grill, resting it directly above the glowing coals. Treat out like a piece of meat and cook it accordingly It should be medium rare when finished. 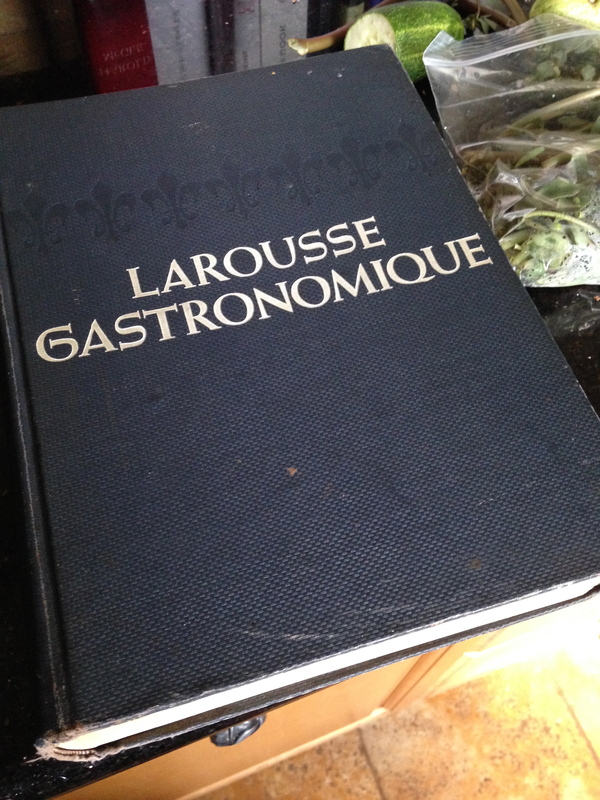 The difficult part here is that with a steak you can touch it, and use other techniques in your assessment of the degree of cooking. In this case, because the bone surrounding the marrow keeps it mostly out of sight, you will have to feel its temperature, visually checking the marrow at the cut ends, and smelling it instead. Carry the bone into the dining room and place it on a chopping block in front of the diners. Split it in two with a sharp saw and scoop the marrow out with a spoon straight into a preheated ceramic bowl, quickly removing any blood vessels, pieces of bone or other unwanted parts. And here the master saws and prepares. Time for a poem. Charles Simic, Butcher Shop. 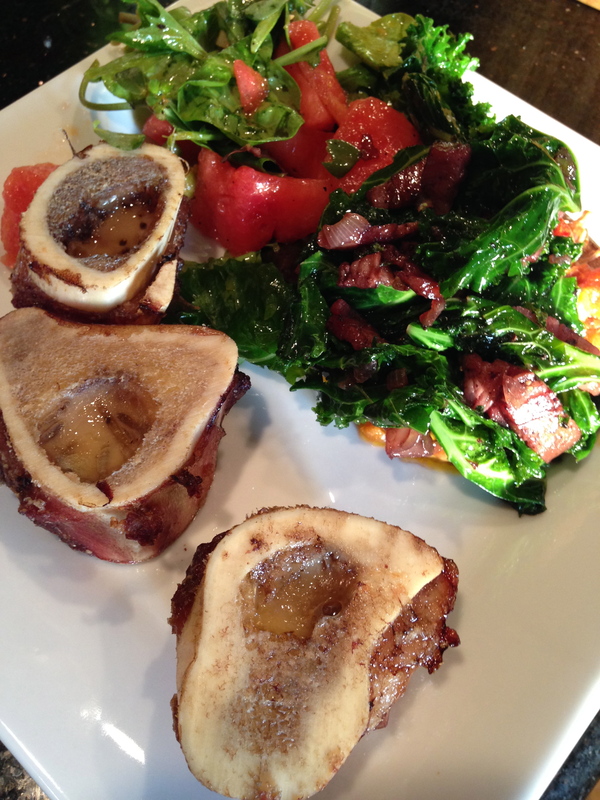 Why yes, six beef marrow-bones from Revival Farms. Time to put them in the oven set at 350 degrees for 20 minutes. Oh yes, they are ready to leave the oven and enter our bloodstream. Look at that spoonful of good fat. It jiggles, pulses, calls to me. 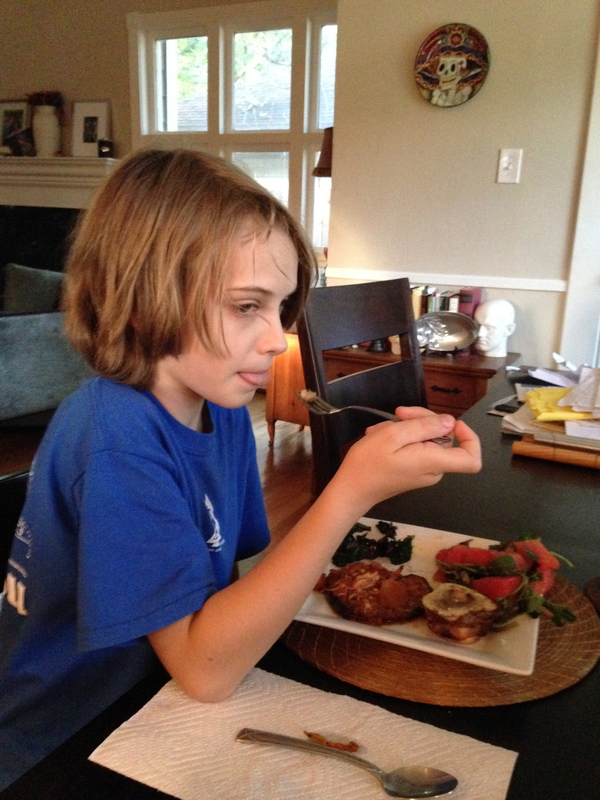 And yes, the boy sampled his first marrow . . . and he liked it. 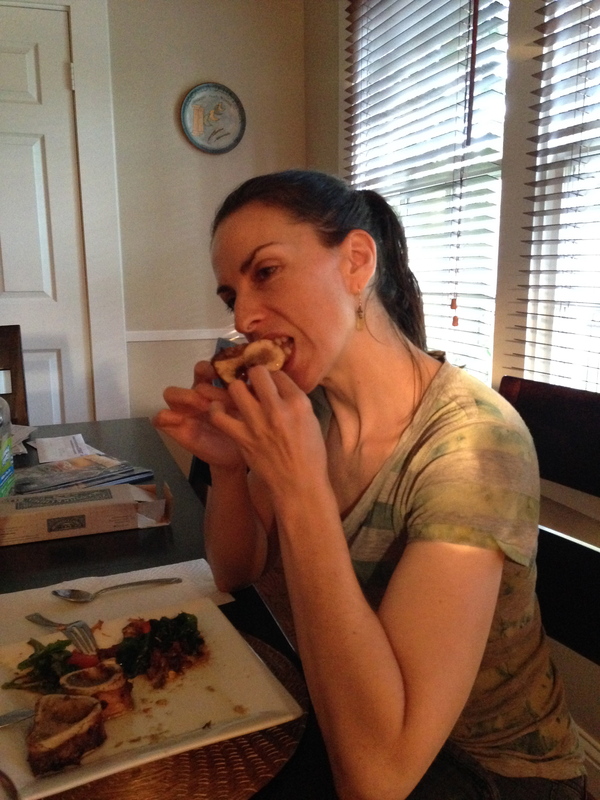 Done with the marrow, Gabriela gnaws on the bone. End scene. Even more interested in bone-marrow now? 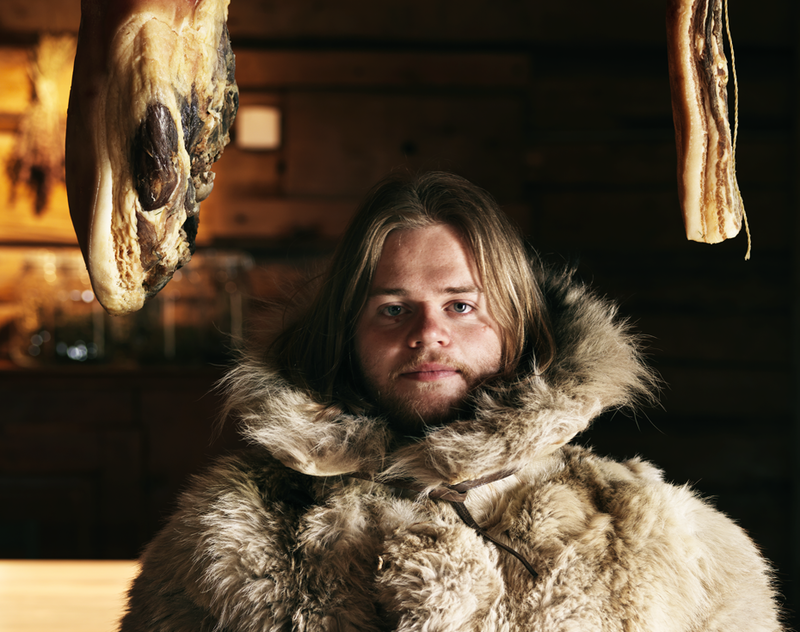 Then read this recent article from The Salt on the wonderful world of bone-marrow. Next Next post: Is The World Better Off With Celebrity Chefs? Bourdain, Pépin, And Hong Kong Gardeners.